It's the holiday season which usually means you will travel to visit family and friends. There are more people who are beginning to take their cats with them when they travel, but what do you do if your cats must remain home alone? Unfortunately, many people believe that cats can fend for themselves and don't need anyone to watch them. What happens if your cat becomes ill, the heat/AC malfunctions, she needs to be groomed, or given medication? I admit I was one of those people who thought cats were independent enough and could be left alone for a few days as long as there was plenty of water and food left out. When I got my first Persian cat while attending graduate school, I'd take her with me when I traveled to my parents' or my sister's house. It became impossible to take her with me when my graduate assistantship required me to travel around the state collecting data. I was lucky I had a close friend who loved cats and she would come over and spend time with Praline. In fact, one time, my friend actually took Praline to her home to take care of her so she wouldn't be alone. 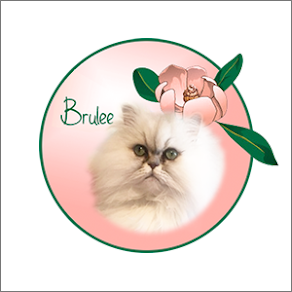 I depended on friends and family for most of Praline's life (15+ years) until she became ill during her senior years. I didn't want to take her to a boarding facility because cats don't do well in different environments. I left her at the vet's office once (an all cats clinic) because she was ill and she wouldn't eat while she was there. I remember renting a car to come home from a conference early (8+ hours away) in order to take her home. I knew then I had to do something to make sure she was well taken care of when I had to travel for work, which was occurring more frequently. I began searching for pet sitters who were knowledgeable about cats. I researched the limited number of pet sitters who lived in my area and who worked with cats. I eventually found someone who had good references and agreed to come to my home to let Praline interview her. They got along well that first visit and Janet was hired. Janet was able to groom Praline, give her medication, and play with her. I lost Praline to cancer within that year and didn't have another cat until 6 months later. My plight was to find a professional pet sitter who could take care of my new kittens in all aspects of their lives. Image used with permission from Pet SittersInternational (PSI). I'd learned my lesson from having a pet sitter that wasn't trained to take care of cats that were ill or needed daily care (grooming of Persian cats). 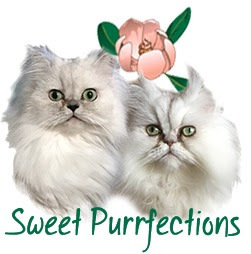 Persian cats have some different needs from other cats, especially when they are kittens. A professional pet sitter is insured and bonded and has completed training in first aid for pets and understands the need of the species and breed. There are several ways to find an appropriate pet sitter for your feline (or pet). The first place most people go when searching for a pet sitter is the Internet. A recommendation would be to find an organization, such as Pet Sitters International (PSI) or The National Association of Professional Pet Sitters (NAPPS) to locate pet sitters who've met rigorous standards and completed training in caring for your pet. Pet Sitters International (PSI) advises pet owners to only use the services of professional pet sitters (Evans, November 2018). 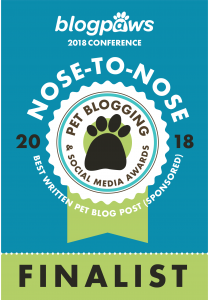 Meghann Evans (PSI) states that anyone can post a profile on a pet-sitting or dog-walking website or app, so it is important for pet owners to make sure they are choosing a qualified pet-care provider. Pet owners can search PSI’s Pet Sitter Locator free of charge at www.petsit.com/locate. NAPPS has a search engine to locate a NAPPS pet sitter in your area. There are other professional pet sitting organizations available where you can find someone to care for your cat while away - Pet Sitters International (PSI), Care.com, and Rover.com (dogs only). 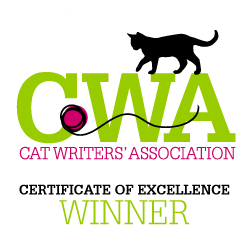 If you search and get results for certified pet sitters near you, this is where you should start. What happens if there is no one near you who is certified? I wasn't able to find a certified pet sitter from a professional organization, so I asked my vet for recommendations. Any pet sitter who is efficient and good at her job will have a support network that includes veterinary practices. 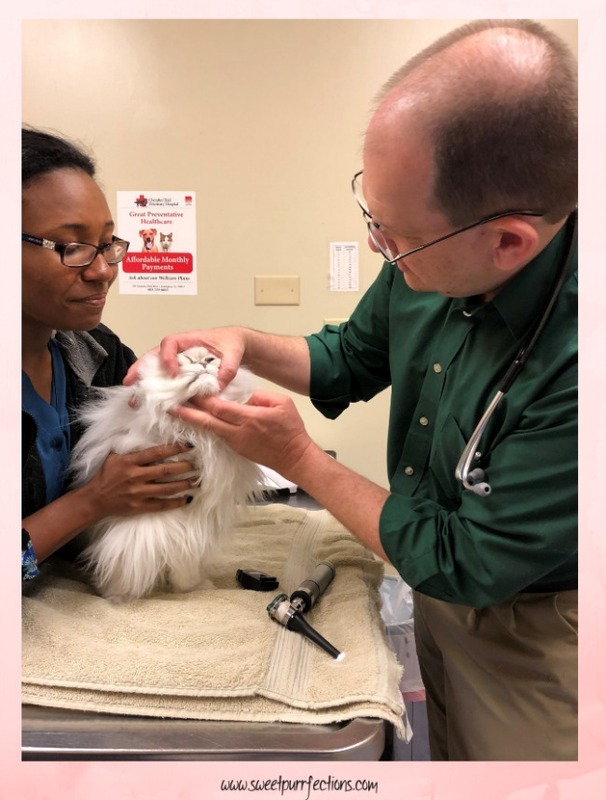 If a veterinarian is willing to recommend a pet sitter, there is peace of mind for the pet owner should there be a medical emergency with her cat. My pet sitter used to work with my vet and the veterinarians know her. She has the ability to take pets to this hospital if there is a problem and the office staff will charge the fees to the owner's account and take care of the cats. Sometimes, you need to look beyond the professional organizations and your local veterinary and talk to other pet parents. In this age of social media and the Internet, anyone can look good on paper or a webpage and even display impressive credentials selling their expertise at pet sitting. A qualified pet sitter will come recommended by a fellow pet parent or a trusted pet trainer who has experience leaving their fur children in someone else's care. Sometimes, there are no members of these organizations who live near you. The next thing to do is to search for pet sitters in your local area using the Internet. As you find appropriate pet setters, make sure you read everything on the webpage. Make sure you understand their qualifications, experience, services offered, and availability. 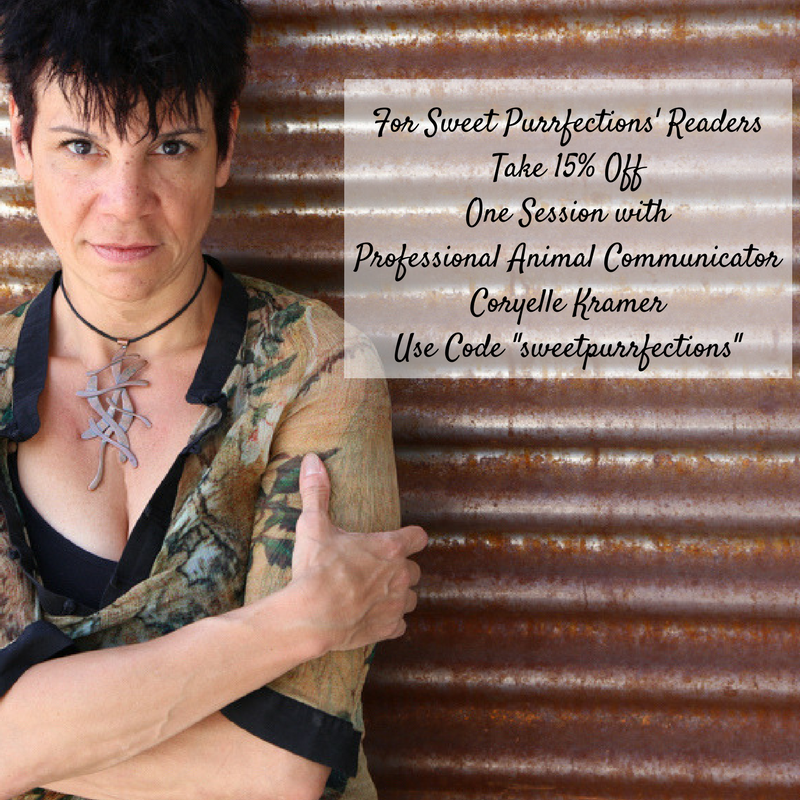 You should search for referrals and reviews. Read both the positive and negative reviews and make a list of questions you may ask the person should she come to your home for an interview. Another possible resource would be a reputable boarding facility. Even if you don't plan on leaving your feline somewhere away from home, the facility should be able to recommend someone who will come into your home. 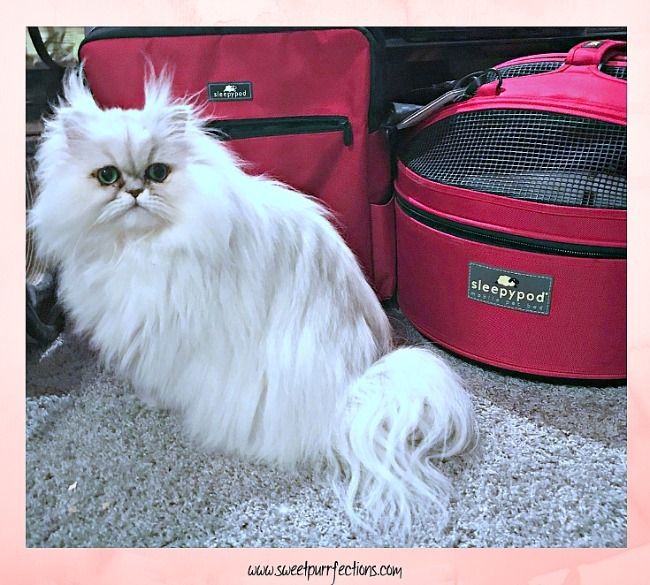 A reputable boarding facility will have equally stringent standards for working with qualified pet sitters because their reputation depends on their quality of care. You've gone through the sources above and have narrowed down some potential pet sitters for your feline. It's now important to choose the right person to take care of your special feline while you are away. What do you do next? You can have the potential pet sitter complete a questionnaire prior to coming to your home or have a list of questions available when you interview her. The Humane Society of the United States (HSUS) has a comprehensive list of qualifications you can use to screen potential pet sitters. Among the pertinent questions to include is: Can she provide written proof of commercial liability insurance coverage to cover accidents and negligence? Is she bonded to protect against theft by a pet sitter or employees? 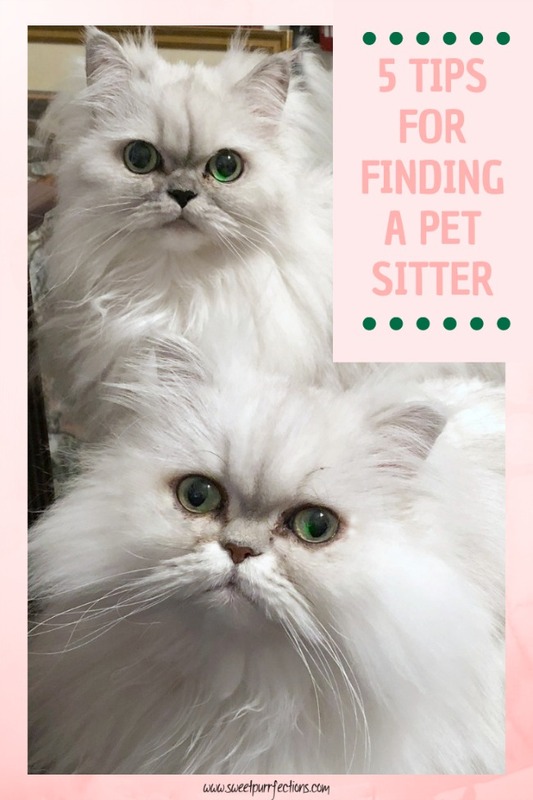 The one key question I ask is about the pet sitter's experience with cats! I read about her pets and see if she has cats. 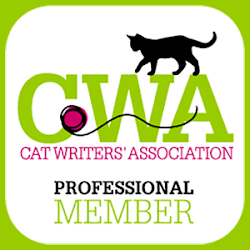 You may have selected someone based on certification, recommendations, and answers to your questions, but it's important for your felines to approve the pet sitter. A qualified pet sitter should agree to your request to have her visit your home so you can watch her interact with your pet. What better way to feel at ease than knowing your pets approve of your choice! I watch how the pet sitter approaches the cats the first time she meets them. Does she talk in a pleasant tone? Does she get down to their level on the floor? Does she wait for the cats to approach her? If your feline is uncomfortable around the pet sitter even when you are in the room, you should probably avoid using that person. There may be nothing wrong with that person, but your cat needs to feel safe and secure. PSI recommends pet owners schedule an initial consultation with a potential pet sitter prior to booking services and offers a free pet-sitter interview checklist on the PSI website. A qualified and responsible pet sitter will have a list of both regular clients and pet care services that would be willing to vouch for their professionalism. When provided with references to speak with, be sure to ask questions that cater specifically to your expectations and your pet’s needs. Once you receive a list of references, be sure to contact them. Have a list of specific questions ready to ask. Don't depend on someone saying, "she was great!" or "I loved her!" You need to know how the pet sitter kept in contact with the person while you were away. Were there any emergencies and how did the pet sitter react? Remember, a prospective pet sitter will have complete access to your home and personal belongings, as well as being entrusted to care for your pet. Take special care when studying the contract to ensure that all the discussed and agreed-upon services have been included. Make sure you keep a copy of the contract on file. If the pet sitter doesn't provide a contract, one should be drawn up prior to using this person. Pet sitting is as varied as your needs may be. Some services may include grooming along with live-in care, while others may offer play time, outdoor exercise, and training. Some pet sitters may also combine their services with nutritional regimens such as weight loss. 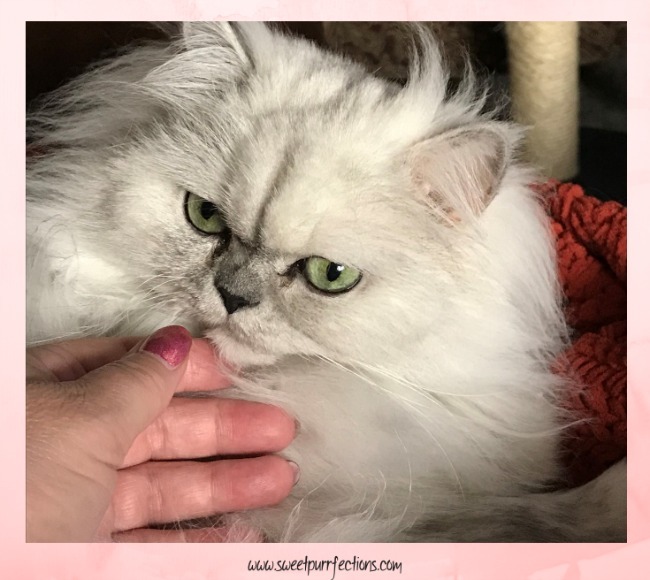 You need to know exactly what is needed for someone to care for your feline and share these expectations with a potential pet sitter. I'm including a list of thing I have ready for the pet sitter. Contact the pet sitter in advance. Don't assume a pet sitter will always be available when you need her. I always send an email, even if I've talked to her on the phone. This serves as a written notification. Photos of the girls with their names. A pet sitter visits many animals and sometimes, especially when you have more than one cat, it helps to have a photo with the names of your cats available. Special dietary needs. Let the pet sitter know where food is located. Leave specific instructions on which food (brand and flavor) is feed to which cat along with how much and when. Be sure to inform the pet sitter if you have cats that need to be fed separately and provide the appropriate location. Let your pet sitter know if your cat's food is stored in a particular location. If you use a special feeder, such a an automatic feeder or one the uses your pet's collar or microchip, be sure to leave a copy of the instructions out in case there is a problem. Name and phone number of emergency contacts. Even if you've already provided this information during the interview, leave it out again. The name of your vet, the phone number, and the address should be provided in case of emergency. Medical needs. 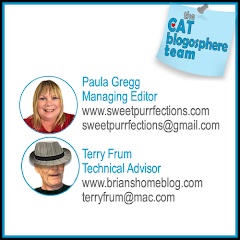 If you have a cat who is on daily medication or needs special care, provide detailed information for the pet sitter. Your pet sitter shouldn't be surprised about medical needs when arriving at your home. Pet Carrier. This may surprise some of you, but it's important that your cat's carrier is readily available. 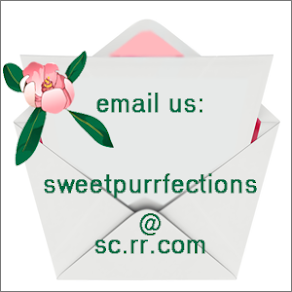 The pet sitter shouldn't have to search for a carrier if there is a need to remove your cat from your home. I leave out my carriers all the time so the cats are familiar with them and I can reach them quickly. Ask for daily updates. This is something for my peace of mind. My pet sitter leaves a written journal of each day for me to read when I return. I've asked her to take photos each day and text them to me. This way, I can observe how the girls are acting while I'm gone. Pet video camera. Let the pet sitter know if you are using a pet video camera. I use my camera to check on the girls when the pet sitter is not there. I do not use the camera while the pet sitter is with the girls unless we've talked about it in advance. Pet's personalities. There are many things a pet sitter may not realize after the first visit with your cats. I let the pet sitter know of special hiding places each cat likes because they do like to hide. 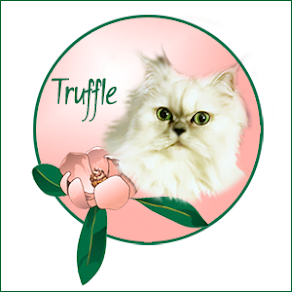 I let her know which treats which cat likes and remind her to break them into smaller pieces for Truffle. I leave a description of the type of play each enjoys. Emergency Kit. Have your emergency kit and list readily available. I use the Sleepypod® Go Bag! to store important supplies that may be needed. I keep the Go Bag! near their Sleepypod® Mobile Pet Beds. My cats are my family! I believe it's important to take the time and research the person who will come into your home while you are away to take care of them. You are opening your home to a stranger and entrusting them to make sure your pets are happy and safe. Cespedes, Yahaira. PetMD. Top Ten Tips on Finding a Qualified and Professional Pet Sitter. https://www.petmd.com/dog/slideshows/care/top-ten-tips-on-finding-a-qualified-and-professional-pet-sitter. Evans, Meghann. 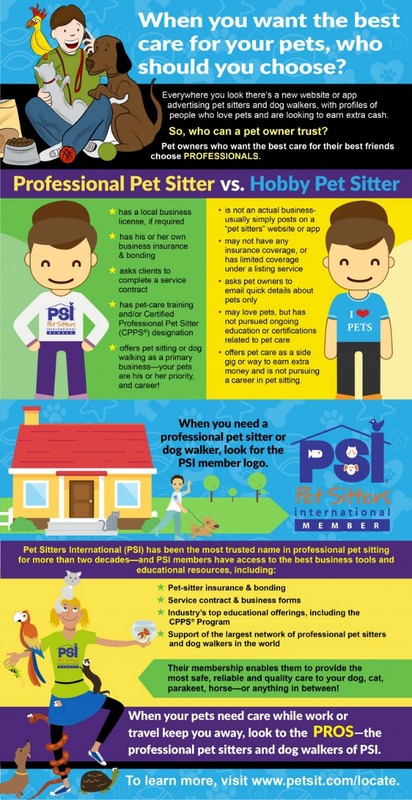 Pet Sitters International (PSI). Email Communication. November 26, 2018. National Association of Professional Pet Sitters. Benefits of Using a Pet Sitter. https://petsitters.org/benefits_of_using_a_pet_sitter.php. Pet Sitters International. Why Use a Professional Pet Sitter? https://www.petsit.com/owners. It's SO important to find a good pet sitter! It took my human a while to find another one after the one we'd had for years (and that Binga and Boodie adored) moved to Arizona. Mom Peggy is not a professional pet sitter as she only pet sits for friends in our condo buildings. She spends lots of time with them and gets very attached. But thankfully there are professional pet sitters out there and that good reliable ones can be found. We would all love it if your Mama pet sitted us! In fact, sometimes we might ask Mama to leave! :). We’d love to have Mom Peggy take care of us! Hooray for all of those pros who care for critters! This is great information, girls. We are SO lucky because we have the BEST cat sitters in New York City! We don't know what we would do without them. It’s hard to find a good pet sitter. So many are dog oriented! Incredible, HELPFUL information! I was a professional pet sitter for awhile and I never even thought about all these important things. I like the idea of raising it to professional status. People have more respect for skilled people if they adopt a serious approach. I just wish we had more cat sitters I am SO OVER dogs. Great tips! It can be stressful finding the right pet sitter. Great tips! I don't have a cat but I feel like a lot of these tips apply no matter what type of pet you have. I've had dogs now for almost 10 years and I haven't been able to bring myself to travel without them. Plus now I have a few exotic pets as well. It's not always easy finding a pet sitter who has experience with exotics especially when you have more than one species. I feel like I'd need a crew of pet sitters to tend to my current zoo, lol. Yeah, I've pretty much given up the idea of doing any major traveling because of my pets, but it's worth it to me. My favorite pet sitters aren't professionals but trusted family members and/or cat friends. A few years ago, when I was on vacation, my one cat got scared during fireworks. She stopped eating, but the story has a happy ending. My mother-in-law took her to the vet and got medication. A cat friend of mine sought advice from the cat shelter where she volunteers, brought over special treats to entire our cat to eat, and checked on her a few times a day. The fact I could have lost my cat shows the importance of having a good pet sitter. Your article provides excellent tips on the traits to look for in a sitter. Finding a good sitter is a great important task. I’m not sure the whole “professional” thing is all that important, I’m not a member of any associations but I do have training and first aid. I think trust is the fundamental thing. Awesome detailed post Paula. This is a great guide for finding a qualified pet sitter. Very detailed and perfect helpful post for those considering using a professional pet sitter. Only the best for our pets! I've heard so many horror stories about hobby pet sitters, even those from apps- I love that the pros tend to know CPR and can recognize signs of an emergency that others can't. Going with someone else is just an unnecessary risk! Oh boy, a pet sitter. Scares me just to think of the possibility I might need one. 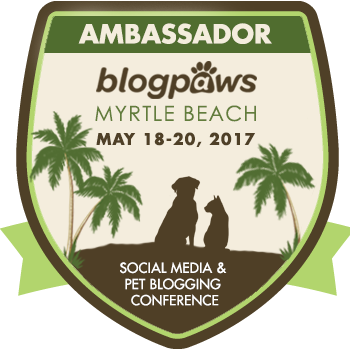 An excellent post and for all pet parents! I just Pinned it to share! We don't travel much, so I don't have much need often for pet sitter for my Huskies, however, I do have a best friend who is also their adopted aunt and appointed godmother and she comes and stays right at my house with them! If I didn't have her, I don't know what I'd do! We are thinking of relocating out of state, and I won't have her to rely on any more so I am going to store this away for future reference! Your list is wonderful whether you are using a professional sitter, or a family member! We are lucky that we can leave our dogs with family if we can't take them with us. My sister also used to come to our house once a day to check on our other pets. If you can't have someone who is family or a trusted friend, a certified sitter or great kennel is the way to go. The kennel that we used has a human on the premises 24/7, which gave me a lot of peace of mind.